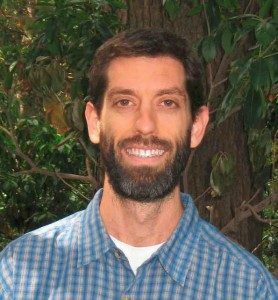 Bio: Jeremy Lichstein is an assistant professor of Biology at the University of Florida. Professor Lichstein got his Ph. D. from Princeton University and was a postdoctoral research fellow at Princeton’s department of Ecology and Evolutionary Biology. He was the recipient of the University of Florida Excellence Award for Assistant Professor, and was named a Florida Climate Institute Fellow for 2016-2017. His research interests are forest dynamics, biodiversity, carbon cycle and climate change. Terrestrial ecosystems currently offset roughly 25% of global annual anthropogenic fossil fuel emissions. However, the fate of this carbon sink is highly uncertain, in large part because global models diverge in their predictions of ecosystem responses to climate change, drought, and other perturbations. Although there is little agreement on how terrestrial ecosystems will respond to global change on decadal and longer time-scales, there is wide consensus that current global models are overly simplistic in their representation of important ecological processes. I will discuss our current understanding of how tree functional diversity is maintained in forests, the consequences of including more realistic levels of functional diversity in global models, and the computational challenges that need to be overcome in order to introduce ecological realism into the Earth System Models that the scientific and policy communities rely on for climate projections. A key result that is emerging from empirical and theoretical studies is that shifts in species composition across time or space (beta diversity) have different (and sometimes opposite) effects on ecosystem stability as local (alpha) diversity.